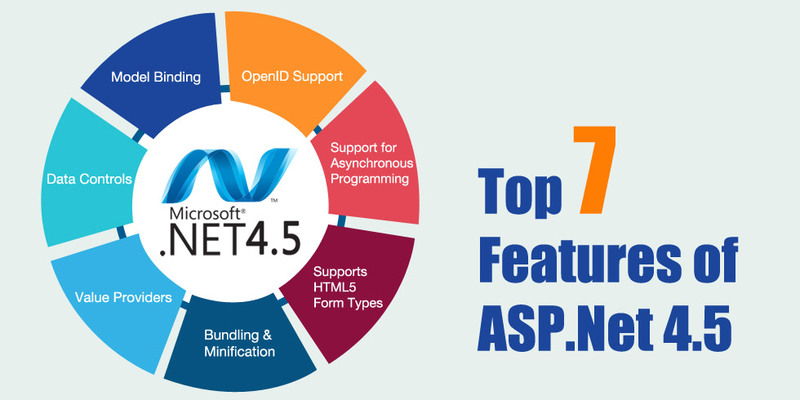 ASP.Net 4.5 is a mature framework, adopted by most developers for developing websites. ASP.Net 4.5 is part of Visual Studio 2012, and offers highly scalable and flexible websites. If you want performance, then this is the platform you should prefer. Let’s see some of the amazing features shipped as part of this framework. In this framework, you get strongly typed data controls. With this framework, you get intellisense which will assign the ItemType property to the model that will be associated with the data controls in your .aspx page. There is a model that will hold on to the view, and then there is the web form which is connected to the model as such. But, with this framework, you can develop web forms that are independent of the model which contains the view. This means if you want to perform unit tests on the models, you can do so with ease. You will need to use the System.Web.ModelBinding namespace for this purpose. This is one of the best features that you get with this framework. You get Value Providers like QueryString, Session, Cookie and Control Value with this framework. If you want to create your own custom Value Providers, you can do so with this framework. With the OpenID support for OAuth logins, you can easily login to your application via external services. This makes access easy and viable. You can register OAuth provider in App_Start/AuthConfig.cs file. You get excellent backing of ASP.Net 4.5 for the HTML5 web forms. With this, you get controls for email, url, number, range, search, color, date pickers etc. You don’t need the OS threads to be able to read/write the HTTP requests, as this framework offers excellent support to asynchronous programming. await and async are the new keywords that gain support from this framework. These features help improve the performance of the website. Semaphore Software has experience and expertise in developing ASP.Net web applications and solutions. Get in touch with us via info@semaphore-software.com to know more about us.